April is national poetry month so we are highlighting the Parian porcelain statue of Sappho, which stands at the entrance to WMODA. Sappho was a poet from ancient Greece, admired throughout antiquity for her lyric poetry which was recited rhythmically to the music of a lyre. 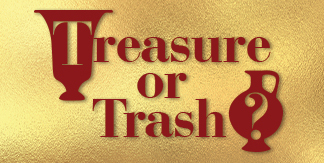 She was sometimes referred to as the Tenth Muse. Although Sappho was a prolific poet, only one complete poem survives, the Ode to Aphrodite, goddess of love, beauty and pleasure. 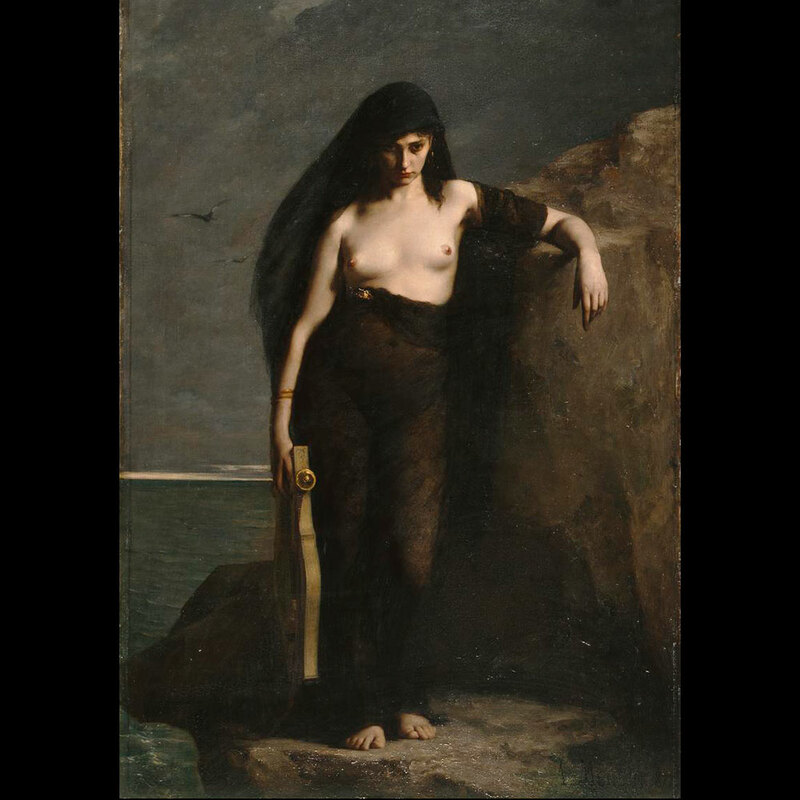 Sappho c.630-570 BCE was born to a wealthy family on the island of Lesbos in the Aegean sea and was exiled to Sicily as a young woman. In addition to her celebrated poetry, she has become a symbol of love and desire between women. The original marble statue of Sappho was sculpted by William Theed, a favorite artist of Queen Victoria and Prince Albert. It was commissioned by the Prince in 1848 and given as a gift to the Queen in 1851. 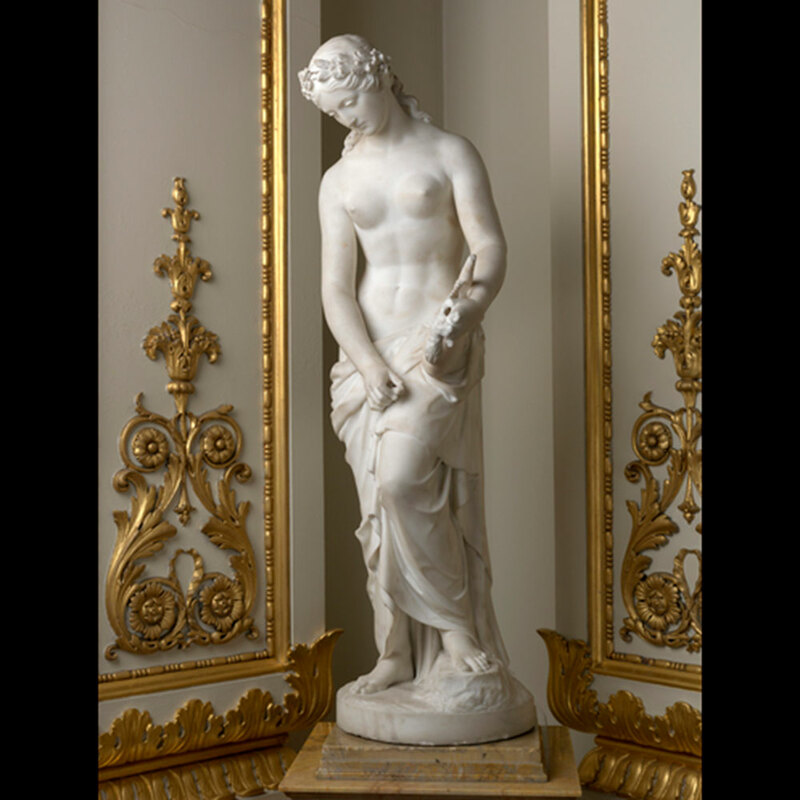 For fifty years, Sappho was displayed in Osborne House, the royal family’s summer residence on the Isle of Wight, alongside their extensive collection of neo-classical marble sculptures. The marble statue of Sappho was moved to the drawing room of Buckingham Palace following Queen Victoria’s death in 1902. 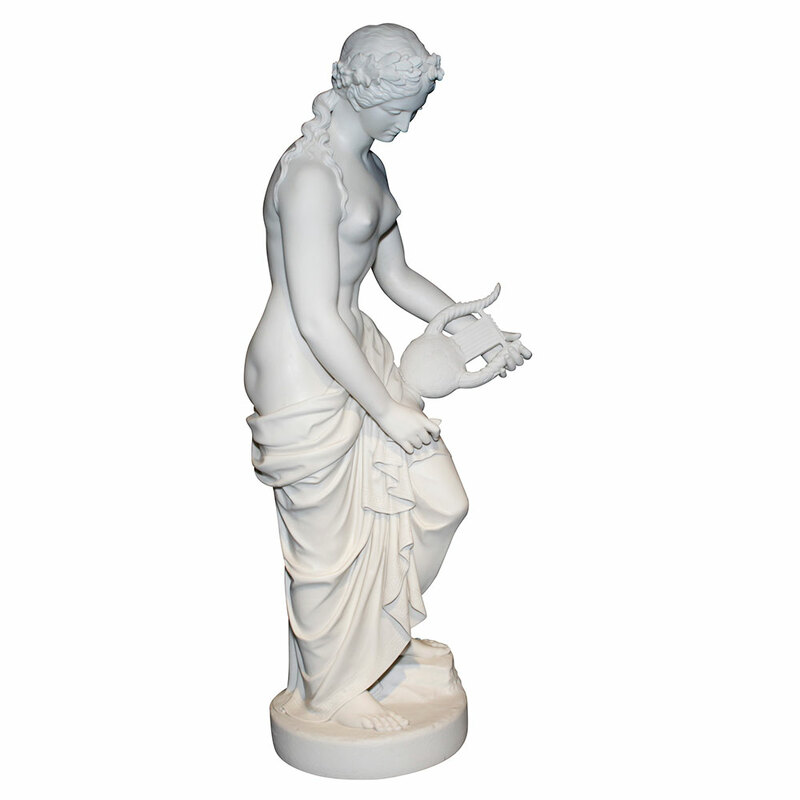 A slightly smaller version of Sappho, 32 inches tall, was produced by the Copeland & Garrett factory in statuary porcelain and exhibited at the Great Exhibition of 1851. According to the Illustrated London News, it was the largest piece produced in this new porcelain material, which became known as Parian ware because of its resemblance to the marble quarried from the Greek island of Paros. The smooth white marble-like porcelain was first developed by the Copeland and Minton factories in 1845. 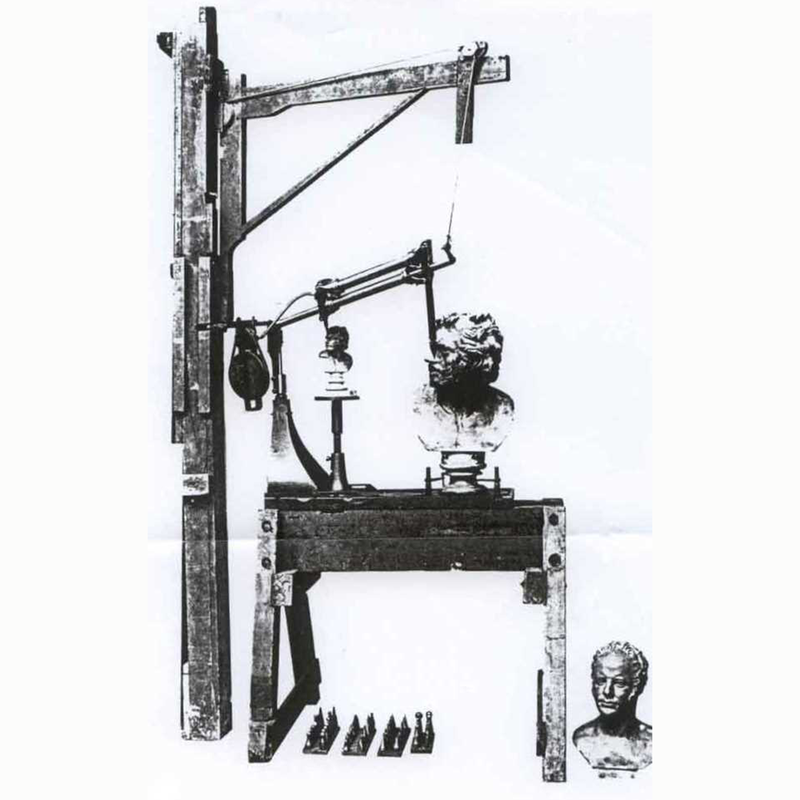 The accurate reduction of famous sculptures was achieved by using Benjamin Cheverton’s invention, a three dimensional pantograph, which he patented in 1844. 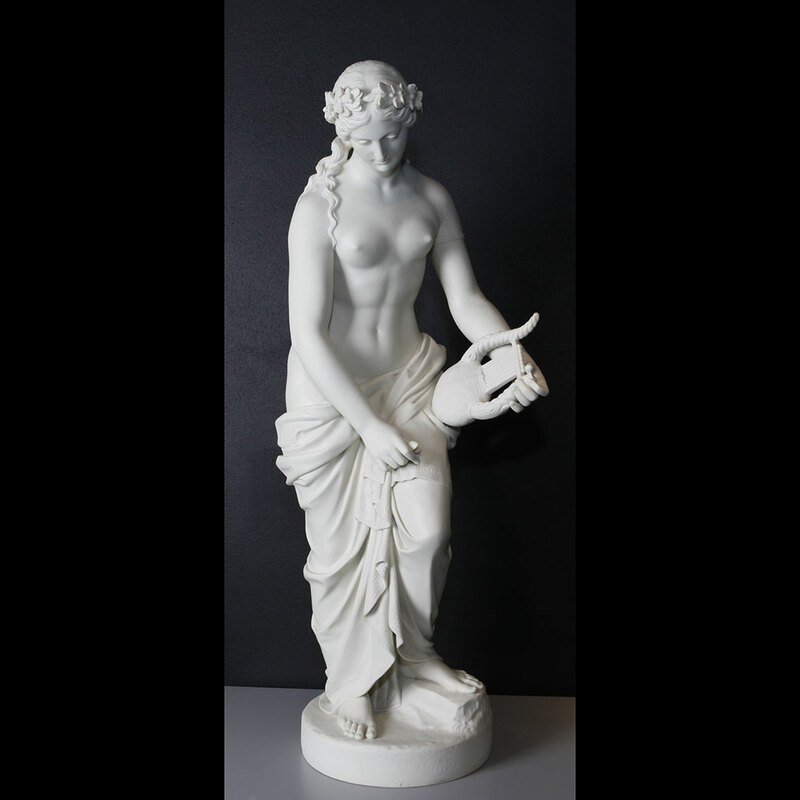 The Parian porcelain statue of Sappho was so popular that it was reissued by Copeland in 1869 and the WMODA example dates to 1873.